The Hallite 511 is a standard profile loaded U-cup with precision trimmed sealing lips manufactured in either a polyurethane or polyester shell energised by a high quality O-ring and designed for common North American square grooves. 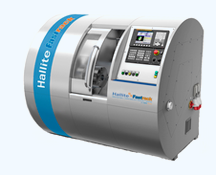 The symmetry of the Hallite 511 makes it ideally suited for single-acting rod and piston applications and its flexibility enables easy installation. The 511 can also be fitted back-to-back for use in double-acting applications. Although the Hallite 511 can be used as a rod seal, other Hallite non-square rod seals are more suitable options, such as the Hallite 513, 605, or 621.